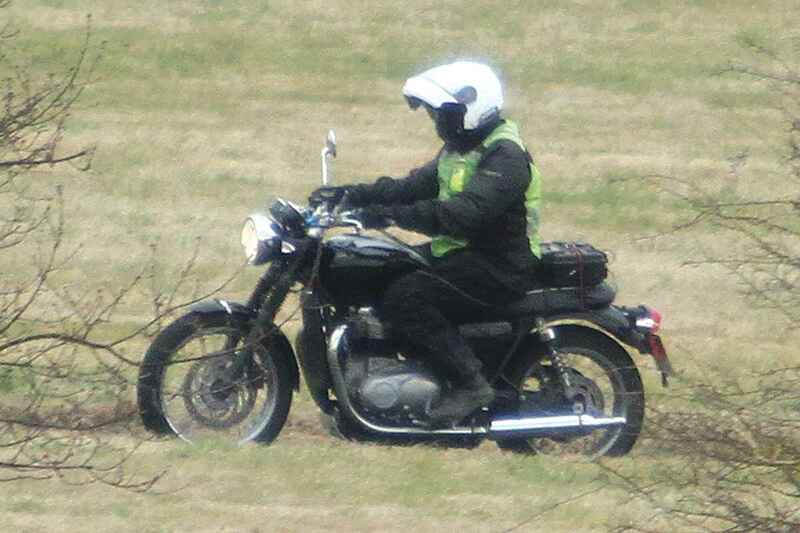 Home > wATER-COOLED > 2016 WATER-COOLED TRIUMPH BONNEVILLE – COMING SOON? 2016 WATER-COOLED TRIUMPH BONNEVILLE – COMING SOON? The current Triumph Bonneville,launched in 2000, has been the vanguard of the retro movement, and the firm has reaped the rewards ever since, driving huge sales and becoming the face of modern classics. But 15 years is a long run with only minor updates, even for a bike designed to look old, and this is our first sight of the bike that will fill its shoes. So how hasTriumph redesigned a retro? By making it even more authentic looking while simultaneously bringing its performance in line with much more modern bikes. 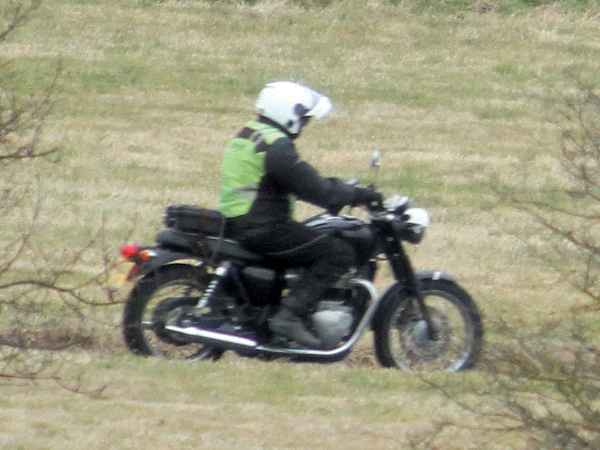 While the styling isn’t surprising, the big news about the new Bonneville, which our photographer caught on test near the firm’s base in England, is the engine. Look between the header pipes; where the current bike has a small oil cooler, there’s a much larger radiator here, suggesting that the new motor is at least partially water-cooled. It’s the same route that BMW has taken with its latest boxer twin and one that Harley is following on some new models, using “precision” water-cooling in the cylinder heads to give better control of the engine’s temperature. Just as much work has gone into the engine’s appearance as its technology, which will include ride-by-wire throttle, opening the door to options like traction control. On the outside, the cases are close replicas of the original Bonneville’s—it looks much more like a 1960s bike than the current version does. On the cylinder head, the exhaust exits are mounted at an angle and the header pipes are attached with finned aluminum collars, just as they are on the original Bonnie.The engine itself is believed to be somewhere in the region of 1,100cc, a significant increase over the current 865cc twin, and together with its new design the result should be something in the region of 90 to 100 hp while retaining a low-revving, torquey state of tune. Word is that the transmission will also be entirely new, with six speeds instead of the current five, and the whole powertrain is mounted in a redesigned frame. It’s still made of steel, but, again, its lines are more like an original Bonneville’s than the current generation. The same applies to the fuel tank, seat, and side panels, and even the taillight has been designed to replicate a 1960s design. The suspension remains old school too, with twin shocks and a conventional fork, but one spin-off from the new Bonnie will be a modernized model, likely to be called the Street Tracker, which uses an upside-down Öhlins fork, remote reservoir Öhlins shocks, and Brembo radial-mount calipers along with sportbike-size tires to take the fight to modernized retros like Norton’s latest Commando models. Regardless of their old-fashioned looks, all versions will have ABS. It will take at least two or three years for all the varieties to emerge, suggesting that the current 865cc motor will live on for a while in some models. The exact launch date of the new bike is unknown. At least one version is expected to appear before the end of this year and reach production as a 2016 model.